The leading ladies of the film Ananya Panday and Tara Sutaria are soaked in the warmth of friendship and are being labeled as the BFFs of the tinsel town. Student of the Year 2 team Tiger Shroff, Ananya Panday and Tara Sutaria seems to be having a gala time in the cold weather of Dehradun. 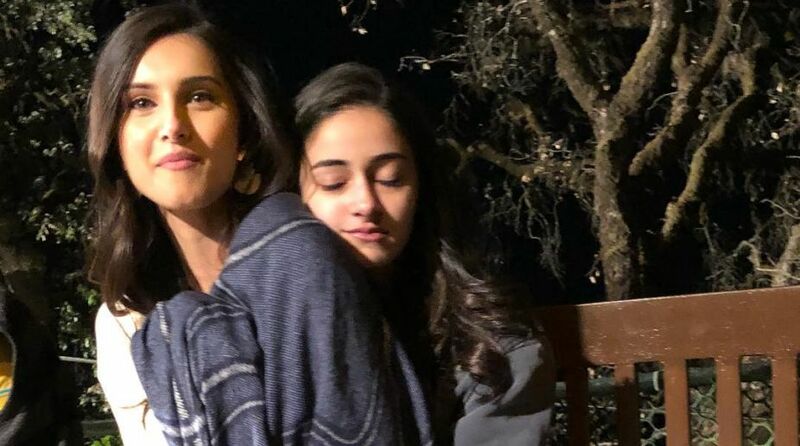 Director of the film Punit Malhotra shared a picture of the duo, Tara, and Ananya, seen cuddling each other as they beat the cold together. He captioned the picture as, “The students fighting the cold”. The cast recently wrapped up the first schedule of the film in Dehradun and will now shoot in Mussoorie. Last week, the actors of the film shared their pictures of Mussoorie on their Instagram handle. Tiger Shroff shared a picture flaunting his chiseled abs. Ananya looked soaked in the sun with a black top and blue denim. Tara, too, was soaked in the sun and looked gorgeous in a blue crop top paired with a white denim jacket and blue denim. Student of the Year 2 will be directed by Punit Malhotra and helmed by Karan Johar’s home production banner Dharma Productions. The shooting of the film will also take place in Rishikesh and in parts of Delhi.